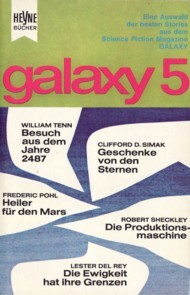 "Printed in Germany 1966" is stated on the copyright page. The last page of "Die Menschenfalle" is not numbered. No price stated, taken from contemporary ads in Moewig's Terra series. Atelier Heinrichs is credited for the cover on the copyright page ("Umschlag: Atelier Heinrichs"). Month and year from the editor's statement in Terra 445.